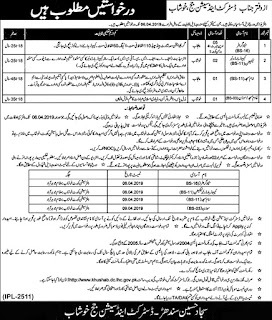 District & Session Court Khushab Jobs March 2019 is offered by the organization of Daily Nawaiwaqt Newspaper JobsDistrict & Session Court Khushab JobsKhushab JobsPunjab JobsStenographer Jobs. The Working hours for District & Session Court Khushab Jobs March 2019 is 8 hours a day and 40 hours a week. So, District & Session Court Khushab Jobs March 2019 is a fulltime job. 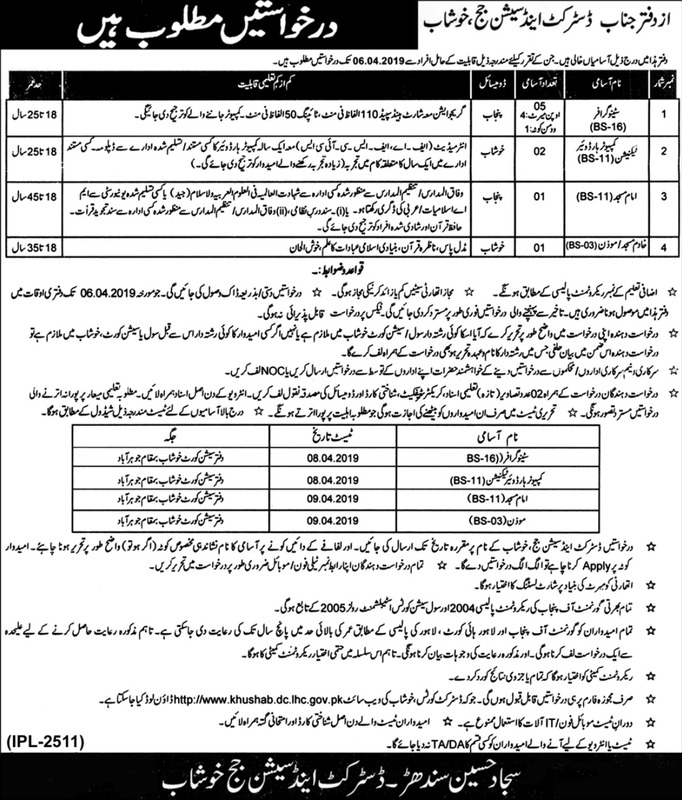 The advertisement of District & Session Court Khushab Jobs March 2019 contains complete information about job specifications, job description etc. which is published in Different Newspapers dated March 21, 2019.